Connecting your business with the rest of the world… . eTor Networks SIP (Session Initiation Protocol) Trunking is an IP telephony service that simplifies IT operations and saves up to 40% compared to traditional telecommunication services. eTor Networks SIP Trunking lets you integrate new sites faster and more efficiently. Connect multiple sites to a single, centrally located IP PBX, without using dedicated circuits or traversing the PSTN network. Be confident that your voice traffic is not crossing un-necessary routers and hops to get to the PSTN. 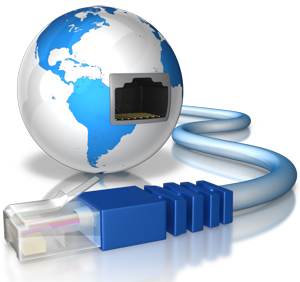 eTor Networks SIP Trunking lets you integrate new sites faster and more efficiently. You’ll also be able to scale up and down easily, with no changes required to your infrastructure. Consolidate your voice traffic on the PSTN according to call patterns- to and from various locations. eTor Networks SIP Trunking optimizes your IP voice infrastructure with fewer connections per physical location, creating a virtual phone network with reduced long distance charges. With eTor Networks SIP Trunking you can connect multiple sites to a single, centrally located IP PBX, without using dedicated circuits or traversing the PSTN network. eTor Networks is located in Toronto, Ontario. Our network operations center and data center facilities are right here in Toronto. Know that your voice traffic is not crossing un-necessary routers and hops to get to the PSTN. Our technical support is available around the clock to deal with any unforeseen issues.